Somethin' about a Sugar Steak at Bastien's! 40 Years Ago Today the first Gay Pride Parade in Denver, Colorado took place. 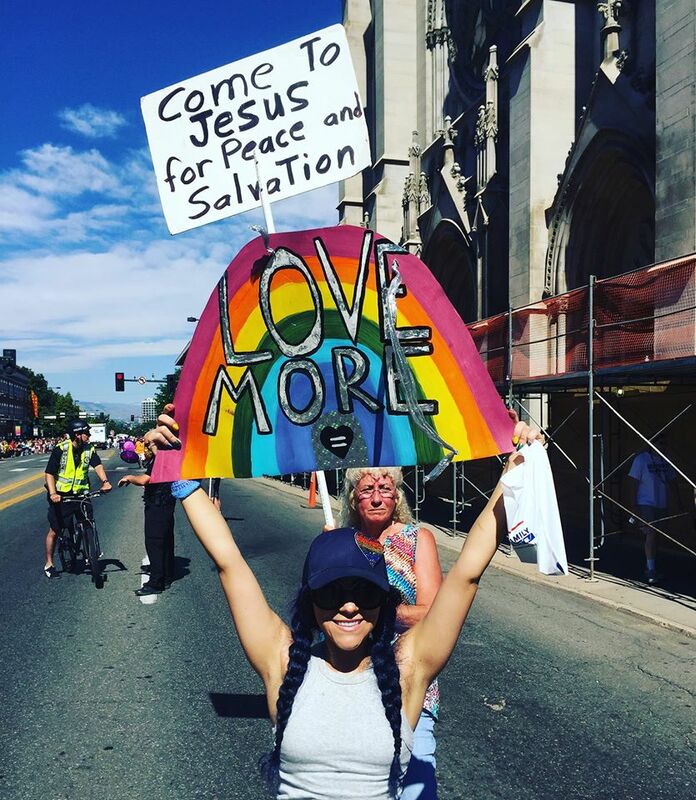 Today the tradition continues with an annual PrideFest! The East Montclair/East Colfax neighborhood is located in the eastern part of the City & County of Denver approximately 5 miles from Downtown Denver. Our 127 year old neighborhood history starts in 1888 with the incorporation of the Town of Montclair. 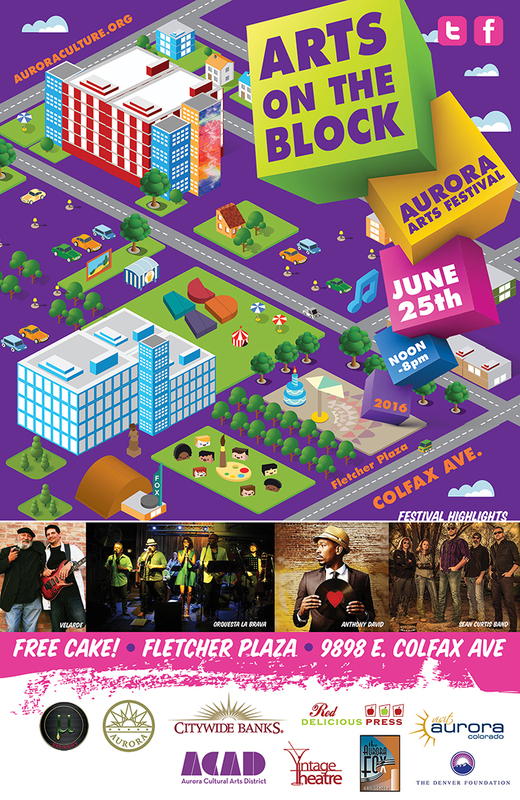 Our neighborhood center is Colfax Avenue which is the longest main street in America at 26.8 miles long! In 1858 gold was discovered roughly 3 miles south of present day downtown Denver. Within 2 years of the discovery 50,000 fortune seekers flooded into the area creating the City of Denver. Many of these early settlers arrived via the Smoky Hill Trail and a branch of the Overland Trail bringing the gold seekers arriving by horse and wagon on what today is East Colfax Avenue. Over time, farms and houses appeared along the trail, which soon became known as the Kansas City Road, because it connected early Denver to the nearest big city in the east, Fort Leavenworth, Kansas. In 1888 the town of Montclair named after the founder's home town of Montclair, New Jersey was incorporated within some of the boundaries of the current neighborhood. 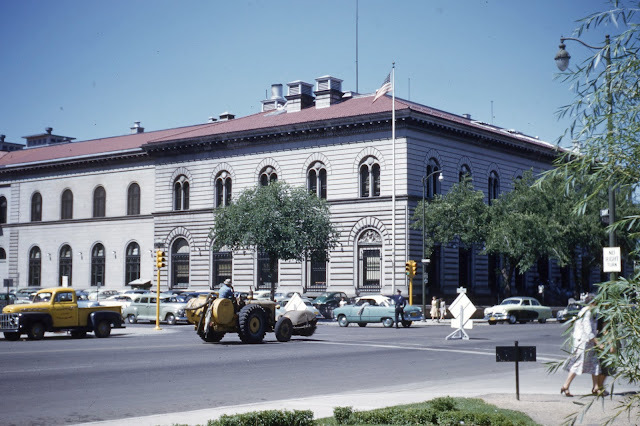 The town of Montclair's western border was Monaco Pkwy, the eastern border was Yosemite and the southern and northern borders were E. 6th Ave. and E. 26th Ave. respectively. The home of the town's founder, Mathias Chochrane of Montclair, New Jersey, still stands at 1304 Olive Street. Montclair's guiding vision, as promoted in an early speech by Baron von Richtofen who was the Uncle of the "Red Baron", was for a community in which "only tasteful houses of $1,000 will be allowed... Colfax Avenue will be graded and improved like Broadway... shade trees will be planted throughout... an artesian well will provide water and water towers will be erected ... the town will be the pride of all Denver." By 1900 there were 88 homes in Montclair. The town also boasted a zoo, college, golf course, art gallery, and private and public schools. St. Luke's Episcopal Church was built in 1890 and the Stanley School in 1891. What is now Lowry Field was owned by the Episcopal Church and included the Jarvis Hall Military School. Students at the military school marched along a road that ran northwesterly from the school to St. Luke's Church on 13th Avenue. The road can still be seen today on the short section of Richtofen Place between Quince and Roslyn streets. After 14 years as a suburb, Montclair was annexed to Denver on December 1, 1902. This annexation included the area east of Monaco Parkway and north of 6th Avenue Parkway, eastward to Yosemite Street and northward to 26th Avenue. Denver's neighborhoods of Montclair, East Colfax, and Lowry Field became part of Denver through this annexation over 110 years ago. A East Colfax Avenue streetcar line once extended east from downtown through the East Montclair Neighborhood to the town of Fletcher (Aurora today). One of these restored streetcars can be found at the Aurora History Museum after it was discovered in the early 21st Century in a remote Aurora barn. In later years the streetcar line ended at the Poplar Street turn-a round, and a bus continued east on Colfax to Fitzsimons Army Hospital. 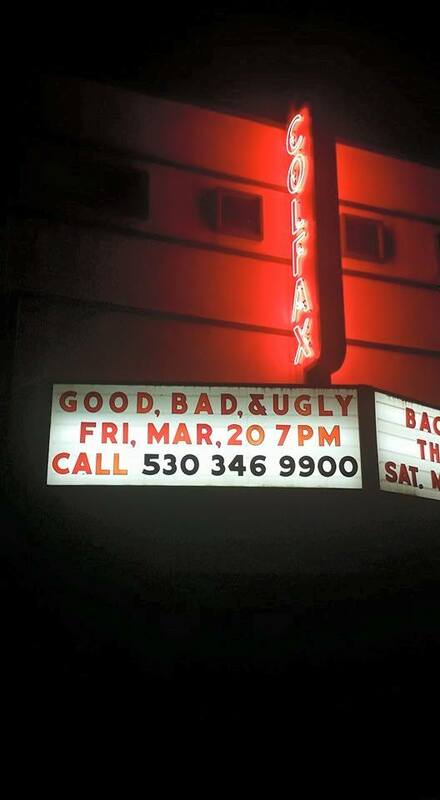 Development came slowly, especially in areas north or South of East Colfax Avenue. As late as the 1930’s, it was still possible to look to the east and see Fitzsimons Army Hospital. Neighborhood boys hunted pheasant and rabbits in open field in the area east of Wabash Street. In 1922 the "Greeters of America," a national organization of hotel employees, established a home in the neighborhood for its members who were indigent because of sickness or other misfortune. Located on five acres, the home was surrounded by orchards and gardens, and enlivened by chickens tended to by the patients. The Greeters of America Home was dissolved in the 1950s and converted into two private residences. The home was established as a Historical Landmark in 1990. The Ex-Patients Tubercular Home opened in 1930 at 8000 East Montview. The home’s cow barn was located at East 19th Avenue and Trenton Street. The milk cows were sold after there were problems with the cows getting loose and wandering into neighboring yards and flower gardens of nearby newly built homes. The Ex-Patients Tubercular Home closed in 1966. As the decades passed, technology and world events brought growth and change to the area. To the north, the Denver Municipal Airport was opened on October 17, 1929 to accommodate air travel to and from Denver. Until the 1940's, Ulster Street led directly to the terminal. In 1944 the airport became Stapleton Airfield after an expansion in honor of Benjamin F. Stapleton the mayor of Denver from 1923 to 1947. In 1937, Lowry Air Force Base was established to the south. Although there was nearly constant sound of aircraft landing and taking off on two sides, residential development came to the neighborhood to house workers from these two nearby air fields. Construction of single-family homes flourished after World War II and continued into the 1950’s. Paved streets and houses soon in filled around older houses and rural farm buildings. 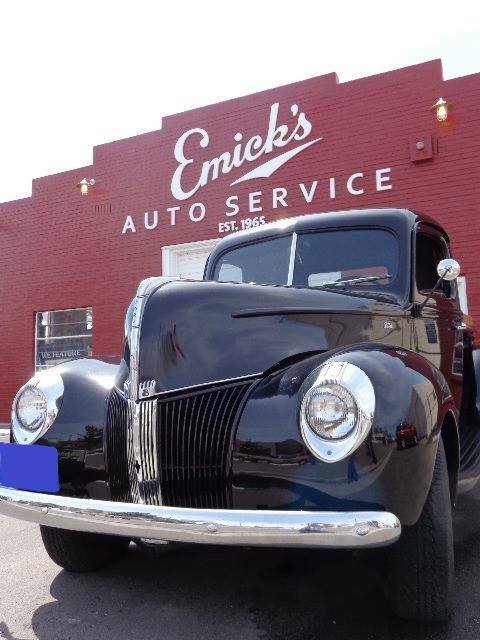 Dating back to the early 1930’s, East Colfax between Ulster and Uinta functioned as a town center. 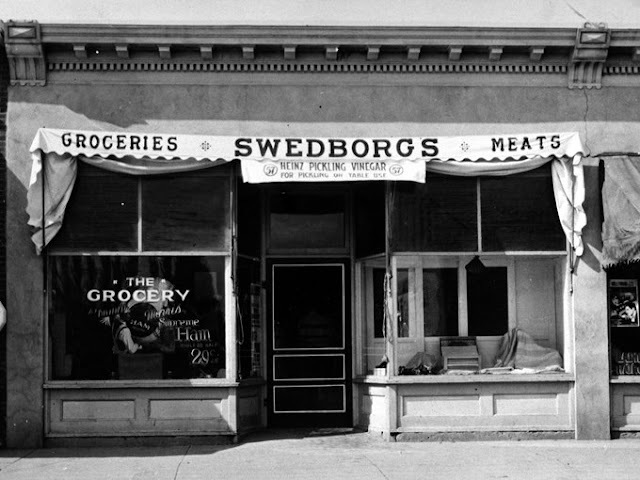 For several decades there was a drug store, beauty shop, barber shop, hardware store, dry goods store and several grocery markets. 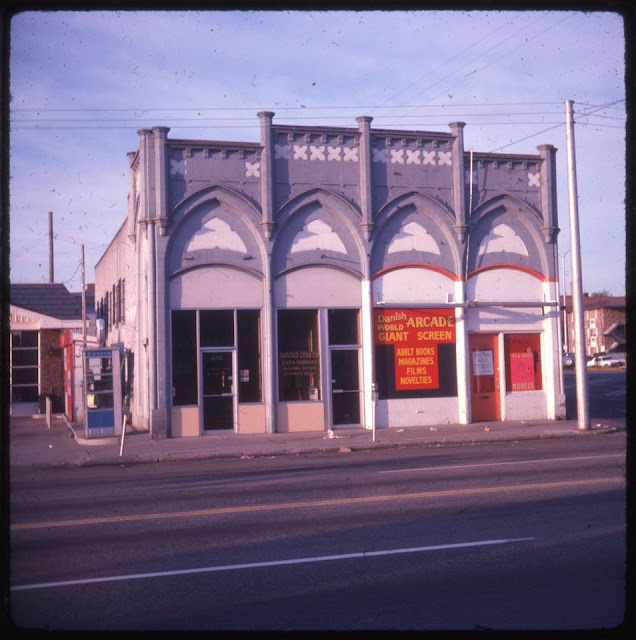 The Davis Dry Goods Store closed in 1956 after 20 years in business and the building was torn down to make way for a new Italian restaurant known as Paisan’s. 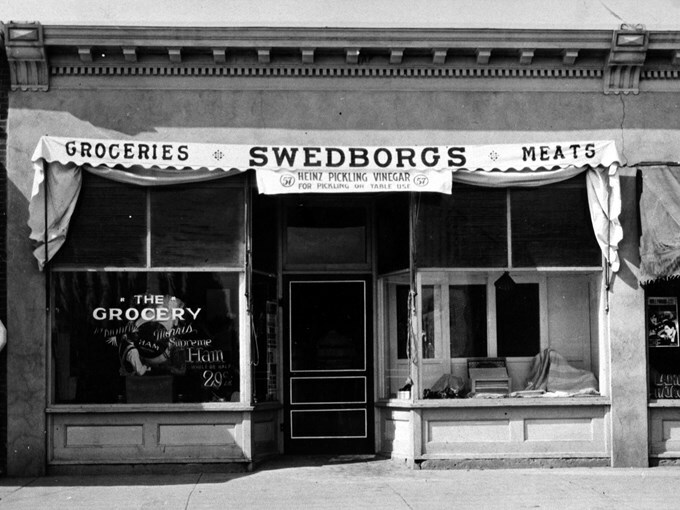 A feed store was built and opened at 8001 East Colfax Avenue by Howard Kurtz in 1926 as a small grocery & market. In 1934 it was converted into a tavern by an enterprising woman named Rose Baker. 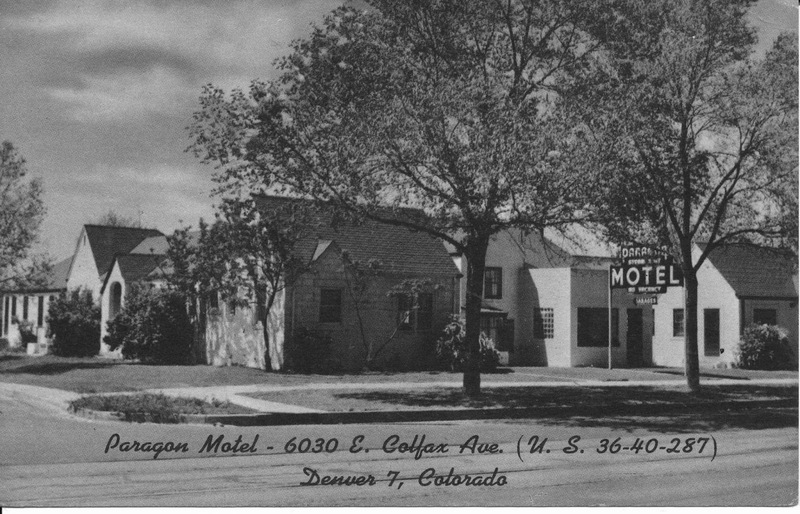 There is very little known about this mystery woman, or about the other owners who came & went over the next few years but according to old U.S. Telephone Directories and Denver City Directories, the bar was called Kolman's Tavern from '35 to '37 under the reins of Lou Kolman, then briefly Roy's Tavern from '37 to '38. The real story begins when two women, Louella Kaiser & Eulalia Verdeckberg, purchased the bar in late '38... from an apparently rather skittish Roy Mayfield, who seems to have high-tailed it away from bar ownership after less than a year, though his actual story is lost to history, as is much of the Hangar's. Enter Luella Kaiser, an operator at the Metropolitan Beauty Salon (2902 York Street) & wife of a local cop named Harry, and partner Eulalia Verdeckberg, a saleslady at Denver Dry Goods Company downtown (16th & California) & wife of a local Engine Company 7 fireman, uncannily also named Harry. These two early female entrepreneurs dubbed their new enterprise 'The Hangar' that year, the same year nearby Lowry Air Force Base opened, and legend has it that a shuttle service for base employees, pilots & military personnel was initiated shortly thereafter. Luella & Eulalia ran the Hangar for several years & it subsequently changed hands at least half a dozen times during the decades that followed. At the end of World War II with the return of many serviceman and woman new houses were constructed within the neighborhood, a large majority of the current homes were built between 1949 to 1954. In 1955 the Lowry Air Force Base would house the first U.S. Air Force Academy and eventually the Titan I ICBM launch complex. In the early 1960’s in order to house construction workers from the Titan missile project at Lowry Air Force Base, apartment buildings were constructed on Yosemite Street south of Colfax. On August 4th, 1961 construction started on nine missile silos at three launch complexes in Lowry and one year later would be fully operational. Apartment construction continued at other locations into the 1970’s, in part as a response to a housing market for military and commercial airline employees. 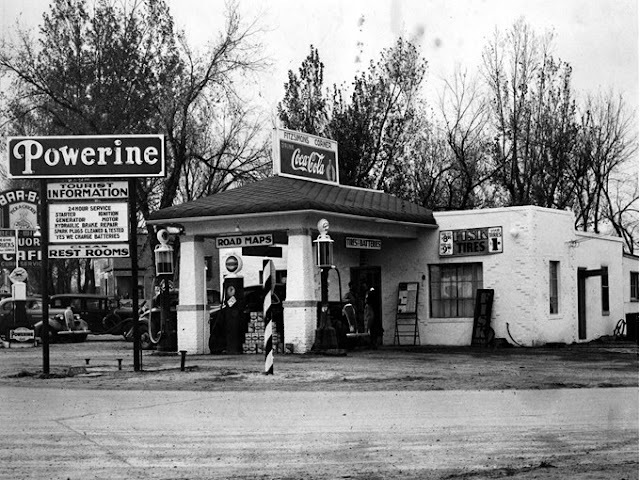 Over the years, businesses prospered along East Colfax Avenue. As Denver’s primary link to the east until Interstate I-70 was completed in 1965, the avenue was lined with restaurants, motels and motor lodges, gift shops, service stations and garages to serve tourists coming to the Rocky Mountain region. In 1989 Denver and Adams County voters approved the plan to build a new airport northeast of Denver. On February 25, 1995, George Hosford, Air Traffic Controller, cleared the last plane (Continental Flight 34, to London’s Gatwick Airport) to depart from Stapleton International Airport. This would mark the end of Stapleton; Denver International Airport would officially open the next morning. On April 27, 1994 the Lowry Air Force Base was closed as part of a national downsizing of the U.S. armed forces. Much of the housing and businesses in the East Montclair/East Colfax neighborhoods were a result of the close proximity of both the Stapleton International Airport and Lowry Air Force Base. 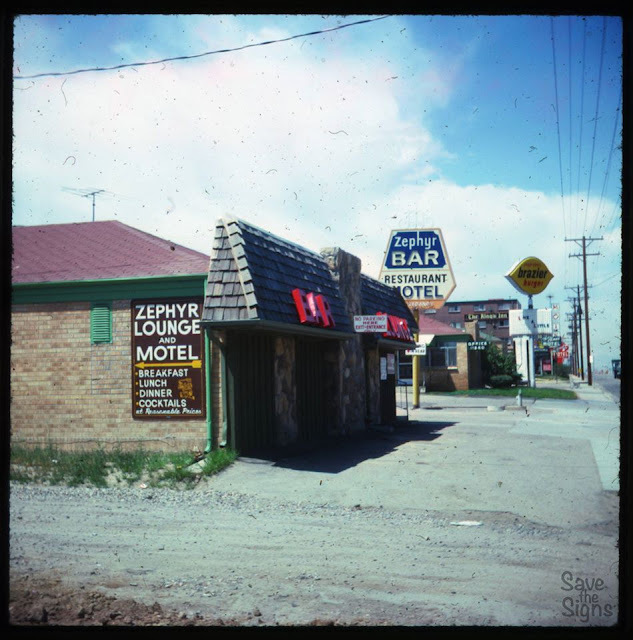 The closing of both facilities had an enormous impact on the old motels, motor lodges and businesses along East Colfax Avenue taking a large amount of residents out of the area, and would lead to a decline along the corridor. The closing of the Lowry Air Force base resulted in the loss of 7,000 local area jobs and over $295 million dollars in annual spending in the area. 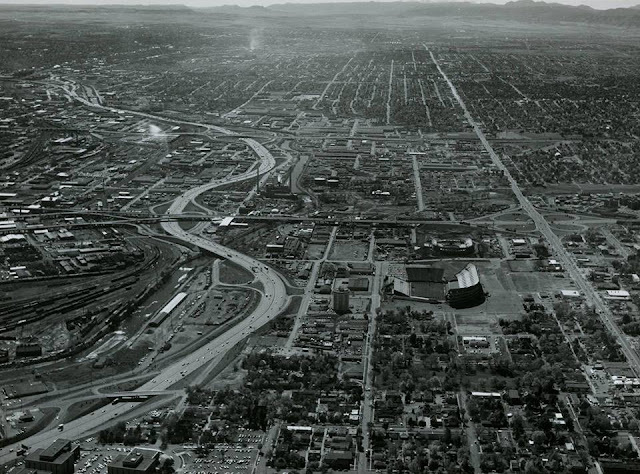 Eventually in 2001 construction would begin on the Stapleton Community, a housing development to the north of the East Montclair/East Colfax neighborhood which would start to revitalize the area and home values and business prospects along East Colfax Avenue. By 2009 the former Lowry Air Force Base would be developed as part of the Lowry Redevelopment Authority’s plan into a housing community with over 25,000 residents. 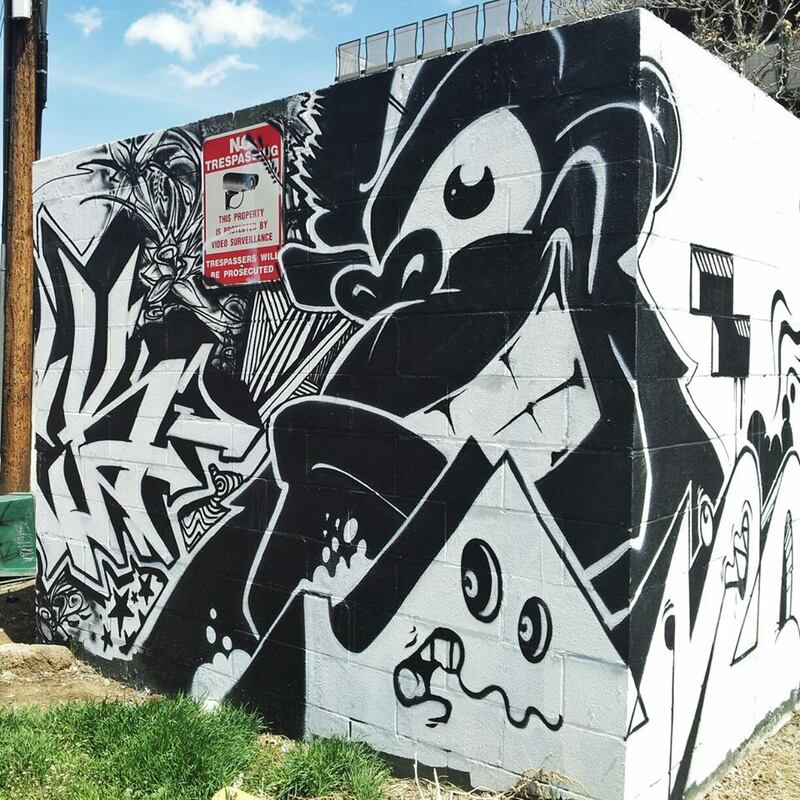 The East Montclair/East Colfax neighborhood looks forward to growth and development in the future along the East Colfax Avenue corridor and at the same time to connect to its past history. A number of long-time East Colfax Avenue businesses continue to provide convenient shopping, services and employment for residents. The East Montclair/East Colfax neighborhood story is one of growth, change and development reaching back to the first gold seekers and continuing with today’s residents and businesses. Our history is important in order to understand our community’s strengths and growing pains today, and to see clearly our way into the future. We also have a neighborhood Association website, Twitter, and Facebook Page! And to think they call this a Cow Town...whatever do they mean? Once the site of an International House of Pancakes and Mama's Cafe, today this location houses an Illegal Pete's. Hope everyone's ok after this serious collision in front of the Bluebird Theater! No Wimpy Wines is right, wow! "Willie" Hartzel's and "Jerry" Bakke's Beacon Supper Club. 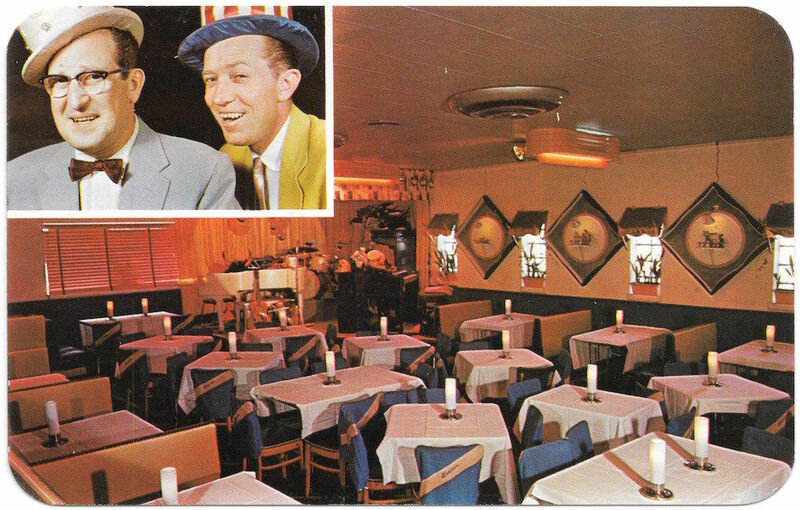 Denver's Original Seafood Cocktail Bar, once at 7800 E. Colfax Ave. Where "Unexcelled Cuisine and Mixed Drinks were served in an atmosphere of musical congeniality." Today the building sits empty and is currently for lease. Take a trip back in time to learn about the history of Lakewood as the newly renovated Estes Motel opens to the public at 6:30 p.m. on Saturday, June 11 at the Lakewood Heritage Center, 801 S. Yarrow St. 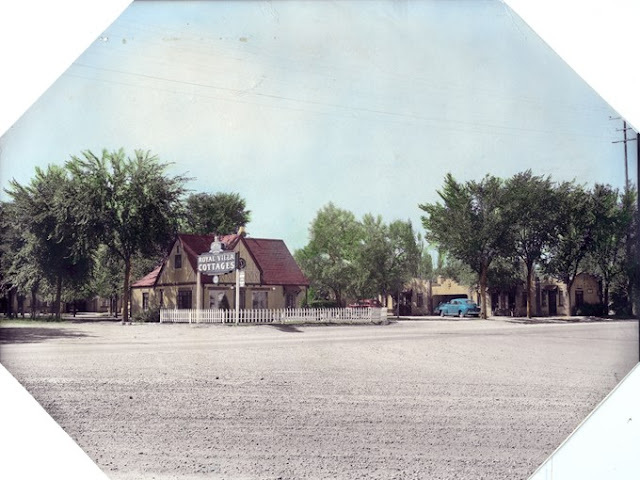 The Estes Motel is the newest structural artifact to be restored and added to the museum’s tour, which tells the tale of life in Lakewood through the 20th century, and in this case, the story of tourism and commerce along West Colfax Avenue in the 1950s. This two-room, two-carport motel, constructed in 1948-1949, was originally owned by Clifford and Christine Estes and sat on their property on the south side of Colfax just east of Kipling in what was then a rural area of unincorporated Jefferson County. At this time, Colfax was a narrow, two-lane thoroughfare, more pedestrian in character and in the process of being paved. 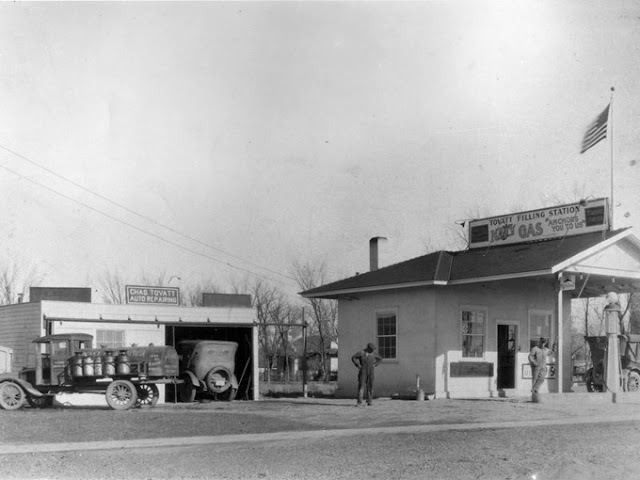 The area was transforming from a farming countryside to bustling commercial area with gas stations, grocery stores and other businesses. 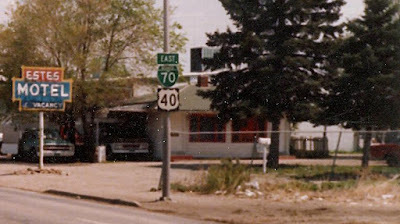 Known as Highway 40, Colfax was the primary route between Denver and the Rocky Mountains. 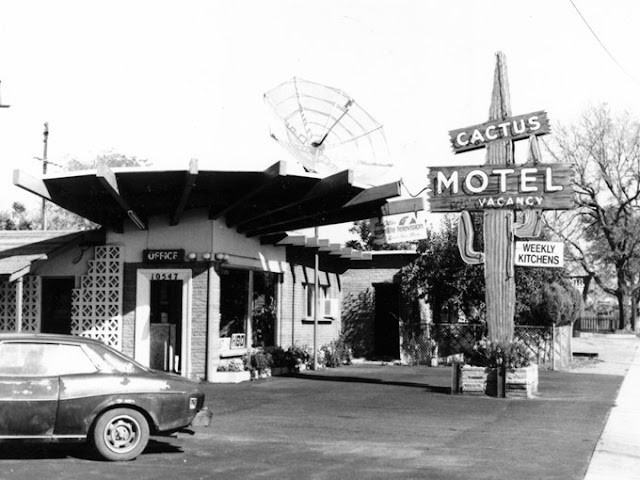 By 1952, the area hit its tourism peak with 37 motels along West Colfax including the Trail’s End, Park-O-Tel, Siesta Motel, Del Norte Hotel and Monterey Lodge. Answering to phone number BE 3-5297, the Estes Motel advertised rates of $4-8 a night, serving a stream of travelers from across the country. At the grand opening, visitors can experience the fully restored interior and exterior of the motel and soak up the ambience of the 1950s large automobile era. The motel was generously donated to the Lakewood Heritage Center by Michael Bettmann, the owner of Colorado Frame Company who remains the owner of the property that once served as the site of the Estes Motel. The grand opening occurs during Lakewood’s annual Rockin’ Block Party. Visitors can stay for the free Chris Daniels and Kings concert followed by the movie “Sandlot” under the stars at the Bonfils-Stanton Foundation Amphitheater. For more information, call 303-987-7848 or visit Lakewood.org/HeritageCenter. The East Drive-In opened in 1947. I lived behind the Drive-In when it was in full operation (1955-1964). Many of us worked there during the summer washing windshields for tips and walking the back rows to clear out stragglers. We had many a play hour there during the day, since the layout was quite amenable to go-karts. We would race from Colfax Street to the entrance booth and whip around the corner into the vast sea of speakers on poles. I happened to drive by on a visit to Aurora the day the wrecking crew was committing architectural homicide on the place and felt a genuine loss. I’m sure it was living on life support, but I still hated to see it go. The North, South, East, West and Monaco drive-ins were part of the Compass chain of theaters when I was there. 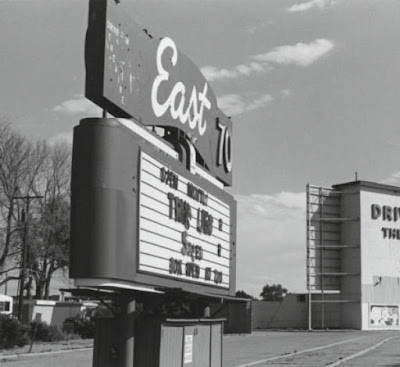 The East 70 Drive-In had an 850 car capacity.